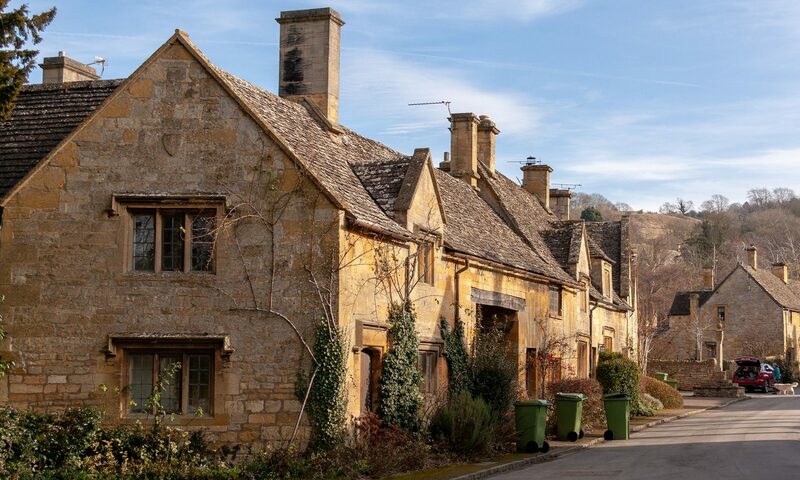 Ever wanted to visit a bed and breakfast and pub that dates back to the 15th century? Well, you’re in luck if you plan on visiting the Fleece Inn located within the Cotswolds. The property was originally built by a farmer named Byrd, but little else has changed over the years. The last member of the family died in 1977, and the Inn now belongs to the National Trust. Even with the transition to new ownership, the Fleece Inn still functions the same as before, with the only additions being new food items like pub grub, locally grown asparagus, sausage and mash and locally made faggots. Many events take place at the Inn every year like the annual Apple and Ale Festival, Vale of Evesham Asparagus Festival, May Bank Holiday and even classic car events that people come from all over the area to participate in. Every Thursday night is also folk night, where musicians come and play for the crowd at the pub. Experiencing what traditional British countryside life is like is what the Fleece Inn is all about, but with the addition of modern amenities that people cannot live without, you’ll still feel right at home. Booking is tight, so if you plan of visiting any time soon, you must make reservations at least a few weeks ahead of time so you’re guaranteed space. At only £97.50 per night with breakfast included, you can experience the traditional life at an affordable price, so even Michigan Used Cars buyers can enjoy what’s to offer. One would think there’s not much else to do at the Inn besides drink, eat, sleep and enjoy the surrounding countryside. But there’s also the beautiful medieval church St Leonard’s across the village square to check out, in addition to many other village buildings. You’d never expect a rural Inn like the Fleece Inn to offer so much history and traditional life at such a high level and affordable price, but that is exactly what you get when you visit.